This page is here to answer your common questions about upper cervical chiropractic procedures. Why learn more about upper cervical procedures as a patient? We find certain symptoms tend to show improved outcomes over and above other chiropractic adjusting techniques in certain cases. We believe that an upper cervical procedure is necessary in many cases that may not be responding to traditional chiropractic adjusting procedures. As a teenager with sports injuries, I had great results receiving chiropractic care with traditional adjusting methods. However, it wasn’t until I was a chiropractic student that I received my first upper cervical correction from a NUCCA practitioner (Dr. Robert Gilbert) in Davenport, IA, that I began to experience some deeper healing of neck injuries originating in multiple car crashes. My care continued with NUCCA practitioners between the years of 2008 – 2013 Dr. Barbara Read (Ames, IA), Dr. Young Chung (Chicago, IL), and Dr. Keith Denton (Monroe, MI) whose care and analysis of my upper cervical spine was consistent across all three office. With upper cervical chiropractic adjusting, I found my shoulders stayed balanced, rotation in my upper body came out, and chronic and recurring neck pain that went from the middle of my neck down to my left shoulder blade finally went away. As a chiropractic patient I wish I would have known about the upper cervical procedures before I went to chiropractic school. So, this page is here to help define what upper cervical procedures are for our patients, and how I use some of these approaches in my practice. The Atlas bone seen from above, with the middle of the Axis bone outlined. Upper cervical is another way of saying “the top of the neck.” Sometimes referred to as the Atlas and Axis vertebrae (C1 or C2), the term “upper cervical spine” specifically refers to these two bones of the neck. This is also called the cranio-cervical junction, or CCJ, and some upper cervical chiropractors refer to upper cervical procedures as CCJ procedures. How are upper cervical chiropractic procedures different than other more commonly used adjusting techniques? Dr. BJ Palmer (known as “The Developer” of chiropractic care) launched a great interest in upper cervical adjusting in the 1930s. Chiropractors use many different ways to address spinal misalignment (called vertebral subluxation). Vertebral subluxation causes joints to become fixed, inflamed, and painful. It can also affect the human nervous system and the body’s internal organs. Most chiropractic patients will experience chiropractic care that focuses mostly on pain reduction and improving mobility in the spine wherever that issue may be found. Many practices are very good at providing this form of care. I like to call these kinds of practices spinal mobility practices. This is a great and effective way to help people with many problems that are related to the spine. Upper cervical chiropractors using the upper cervical procedures take extra care in addressing one specific area of the spine, found at the the top of the neck. There are historic and recognized upper cervical chiropractic procedures with names that are used by upper cervical chiropractors. This unique group of chiropractic protocols agree (and sometimes disagree) on the best way to balance the top of the spine. Why do the upper cervical procedures examine the top of the spine differently? The Atlas and Axis as seen in the open-mouth view x-ray. The top of the Atlas is just below the skull. For these reasons, upper cervical chiropractors take special care in evaluating and adjusting this sensitive area of the spine which involve unique x-ray procedures. The goal of most upper cervical chiropractic procedures are to provide greater health and healing to the spine and body over time, by working with the area that we believe is most vulnerable to nervous system irritation: at the base of the skull/top of the neck. So, as an upper cervical chiropractor, I work not just on reducing pain and improving your spinal mobility – I work to move the spine towards a healthier, more balanced position with a specific x-ray and a variety of spinal correction protocols that start with top of the neck. What does the upper cervical spine do? Why is it so important? You could say this area of the spine has two important jobs. While the functions of the body that are controlled or influenced by the lower brain stem are too many to list here, one important job that it does is help control our total body balance, or structural balance. What can happen when the upper cervical spine loses its proper balance? A lot can go wrong in the body when the upper cervical spine is irritated. The effects can feel mild to devastating depending on a lot of internal factors in the body of the patient, including the patient’s experience with prior spinal trauma. Regardless of the severity of the symptoms, upper cervical irritation usually causes body tension and imbalance that you can actually see, if you know what to look for. What are the upper cervical chiropractic procedures and where do they come from? Upper cervical chiropractic is a group of procedures that have been studied and refined since the 1930s. 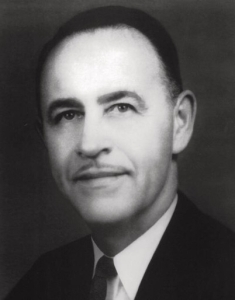 The upper cervical procedures came from the work of Dr. BJ Palmer (known as The Developer of Chiropractic) and several associated field chiropractors in the early 1930s. The work of Dr. BJ Palmer expanded through the 1950s with other chiropractors working parallel on their procedures for the upper cervical spine. The protocol involved adjusting the patient in a side-laying or knee-chest position (on all fours with the head rotated) using either a solid table top, or a table that dropped to release slightly at the instant of adjustment. From the mid-1940s to the 1980s, there emerged a number of chiropractic researchers who wished to improve and refine the work of BJ Palmer who organized themselves into a teaching associations meant to pass on their own insights into the best way to correct the upper cervical spine. These researchers and teaching associations sometimes agreed, but also disagreed on the best way to examine and correct the upper cervical spine. They came with a variety of adjusting procedures and protocols, which included different x-ray views, measurement techniques, and adjusting methods, including adding the use of hand-held and table-mounted instruments to the adjusting protocols. Dr. Bill Blair, known for refining the mechanics of atlas motion on the condyles of the skull. Quantum Spinal Mechanics (QSM3) (placed here but also belongs in its own category, as it combines the insight of Drs. John Grostic and Ralph Gregory with an inclusion of the concept of tensegrity and a whole body posture release, based on the work of Dr. Russell Friedman in Atlanta, GA and the insights of Dr. Michael Thomas in Belleview, FL). What upper cervical procedures is used in this practice? Dr. Ralph Gregory continued to develop upper cervical work by founding NUCCA, after the Grostic Seminars ended. For many years I used the upper cervical procedures of the National Upper Cervical Chiropractic Association (NUCCA) exclusively. I was well on my way to becoming Part 2 certified by the NUCCA Board. However, I found that I was not happy with my ability to help all patients using these protocols exclusively. This is a statement about my own experience and not a comment on any one particular upper cervical technique. As I studied the posture presentations of different kind of upper cervical misalignments, I began to incorporating the ideas from QSM3, as well as incorporating understanding of the biomechanics of the upper cervical spine from the Blair Chiropractic Society, which interprets the upper cervical motion in a different way than NUCCA and Orthospinology. Presently, these procedures have all been combined to include upper cervical x-rays (Orthospinology/NUCCA series) and full-spine x-rays, upper cervical adjusting by hand and instrument, and tensegral release of the cervical spine and posture as taught and refined by QSM3. If necessary, a lower spine protocol will be used with some patients, based on the teachings of Pierce Results System, and Fred Barge’s rotational analysis of the lumbar spine. I find it incredibly important to balance the upper cervical spine in the context of the body’s other posture adaptions. Because of this I am structural upper cervical chiropractor. I expect to see minor to major postural shifts and releases in response to the chiropractic adjustment. In other words, when the spine is properly released the three dimensional shift of the entire body structure is to be expected and monitored. Alignment matters, is measurable, and can change. What upper cervical procedures are used for each patient? Also used for outcome measurement: Post orthogonal x-rays (Nasium/Vertex/Lateral), Cervical ROM, and other functional assessments depending on the patient’s concerns. I have a strong interest in the kinds of reverse cervical curves, and the chiropractors ability to help release the neck out of reverse. You can read more about me here, which goes into my personal motivation to become a chiropractor. UpCSpine – the patient created website of upper cervical chiropractic patient, Greg Buchanan. The Upper Cervical Blog – a collection of articles on topics related to the upper cervical spine. Upper Cervical Chiropractic, A History So Far – by Dr. Michael Thomas, a perspective on the upper cervical spine that includes tensegrity as a factor in the analysis and correction of the spine.